It is OFFICIALLY the Christmas season! And I am so SO excited! Christmas truly is my most favorite time of the year. 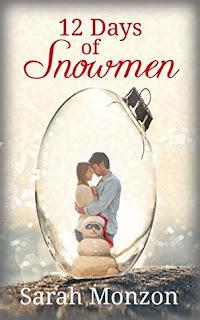 Which is why for the entire month I will be focusing on Christmas books for First Line Fridays. I am also going to be cutting back on my reading this month reading to spend time with family and crafting Christmas presents. Today my first line comes from a cute novella written by the incredible Sarah Monzon! And you can read it for FREE! Find out how below...But first, we need our first line! "She'd heard about not crying over spilt milk, but no one ever warned against weeping over melted ice." 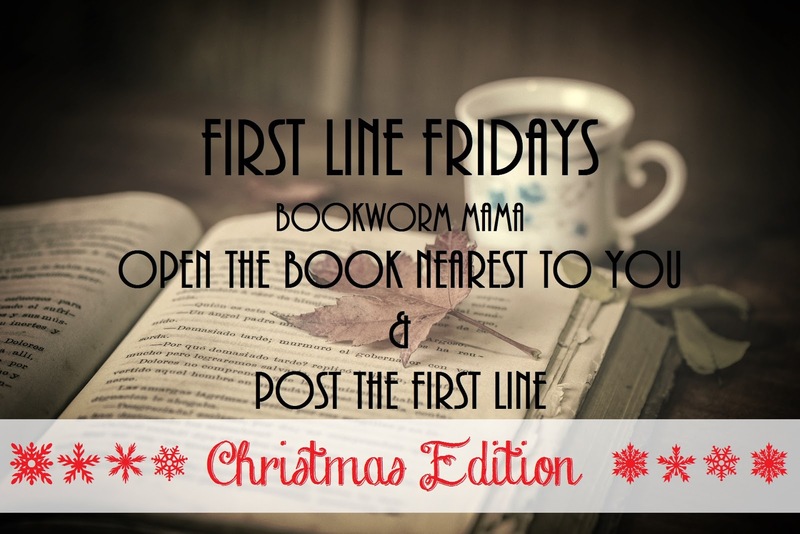 Post your First Line and what your FAVORITE thing about Christmas is below and head over to see what First Lines my lovely friends have today! We are GROWING!!! I am so excited that we have added a new member to First Line Fridays! Please stop over at Sarah's blog to show her some love today! Sarah recently visited Bookworm Mama! Read the interview HERE. 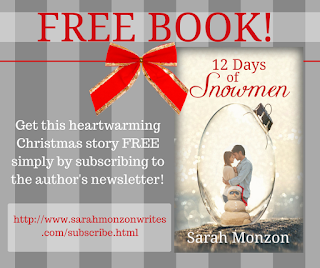 Click on the image below to subscribe to Sarah's newsletter and receive 12 Days of Snowmen for Free! I just finished Shelter From The Storm by Kristen Ethridge: "Ten years ago, Becca Collins caught a bus to Port Provident, Texas because it was as far south as she could get from Wisconsin without falling into the water." My favorite thing about Christmas is having all of our family together. oooo i love your Christmasy update to your FLF graphic :D You are so creative!! My fave thing about Christmas is the twinkle lights and the decorations and the cookies (just being honest) and the overall coziness. So...basically everything! lol. My first line currently is from Cynthia Simmons' Pursuing Gold - "What a dilemma!" Haha I love you so much! Thanks!!! “But I d-don’t want to see the n-nurse; I want to r-ride a h-horsey.” Little Beth Erin … clung to Shannon’s neck, voice quivering with disappointment as they entered the reception are of the Camp Hope plantation house. Hehe! I LOVED Love Everlasting!!!! SO excited for you!!! Of course, I love reading Christmas books this time of the year--I may have just picked up three new novella collections at Lifeway. :) I also love watching Christmas movies--both Hallmark and classic. Oh, I LOVE Christmas books hehe! Mountain Christmas Brides collection is on my list to read this year. Ooooh....I may need to read this one. Sometimes, if he was not so drunk or the twins so loud, Bobby Barnes would consider how those rides to the mountain had become an echo of his life. Hi Andie!!! Thank you for sharing! Ooooh I just got this one! Yay! Happy Friday! Reagan McAdams had been gone more than a decade when Rachel resurrected her. I'm reading my editor Robin Patchen's new book, Convenient Lies. I'm liking it!